There have been many players that immediately boil the blood upon recollection. The majority of these would be ex-Gunners who left in acrimonious circumstances. The noxious cloud they left under still plays havoc with some Gooners sensibilities and upon a mere mention of their name, they become a dervish of expletives and spittle. This article isn’t about compiling ex-players and settling old scores. These former cohorts who have left ample scar tissue are simply ghosts who deserve nothing more than a scornful glance and the silent treatment. No more words shall be wasted on these irksome ghouls. This article is about those players who seemingly wait for those two matches of the season to pull out their best work. They put in mediocre performances all throughout the domestic season and store their reserves of miraculous inspiration to defy the odds and either repel wave after wave of attack or repeatedly score vital goals against us. Also, the players who summoned superhuman feats of strength in knockout matches of huge significance. Cup Finals and Semi-Finals when glory is so close it is massaging your nostrils until an innocuous fellow chooses that very game to triple his stock value. I imagine these men belong to some clandestine organisation – meeting up before every season to reaffirm their Arsenal hatred and swear upon the visage of Gary Mabbutt that they will thwart any vain attempt by Arsenal to gain success. This team I have concocted is as poisonous to Gooners as a chicken sat atop a basketball. 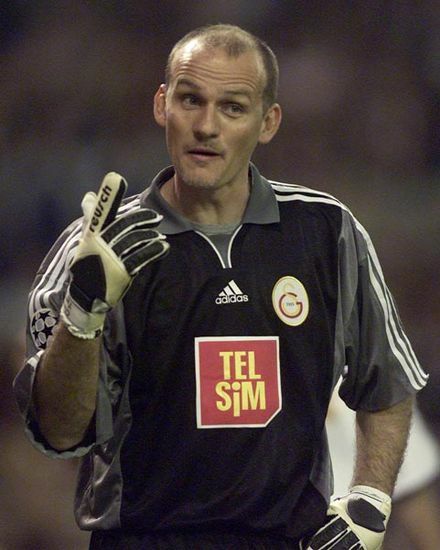 There are many contenders for the gloves, but Claudio Taffarel will always haunt my dreams. The occasion? The Uefa Cup Final, 2000. In Denmark, we bossed the game but couldn’t find a way past not only the Turkish side and their tendency for theatrics, but also their Brazilian goalkeeper. Sure enough, the match went to penalties and when Vieira hit the crossbar, it was the signal for a torrent of my tears. While Taffarel didn’t directly save any of our penalty efforts, he did repeatedly keep out Henry, Overmars, Bergkamp and Kanu. He denied us with his hands far more than any other Galatasaray player did with their feet. Taffarel gets the nod. Honourable Mentions – Edwin Van Der Sar, Sander Westerveld and Peter Schmeichel. I will not revisit this incident, this blot on our landscape. It needs no addition. We all know why he is here. It still hurts. Paris is ruined for us all. He has earned our respect through his shrewd tactical analysis and transparent punditry since becoming a regular fixture on our screens. 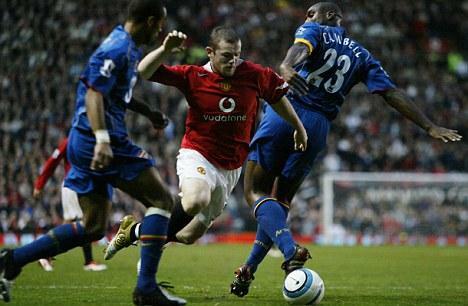 When donning the red of Utd however, he took on the mantle of chief tormentor. He gleefully wound up not only his opposition, but the fans too. A pantomime villain which only masked his abilities. A great engine and a radar-like crossing ability saw him often come up with the goods against us. His moustache phase was simply insufferable however. 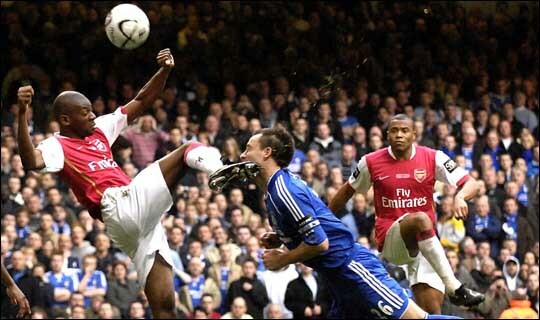 One of my happiest memories is of a flailing foot of Abou Diaby connecting smartly with the face of John Terry, so to say this pains me is an understatement. This list isn’t to compile names that have annoyed us or ones that we hate with every fibre of our being. If it was, John Terry would still be the first name on the teamsheet. He is here because if you peer past the monolithic cyst that he is, his playing ability, his bravery and his leadership is quite simply excellent. He always performs against us as well. The turd. 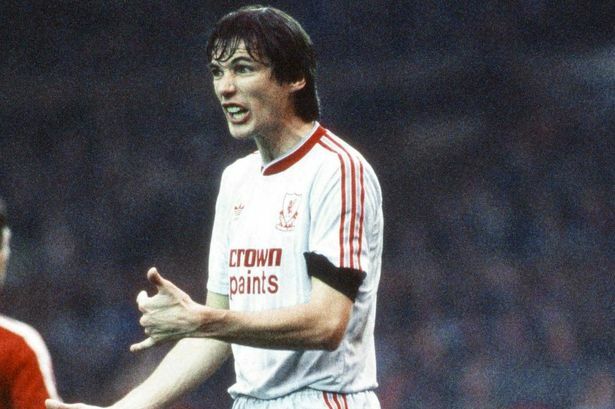 Responsible for a near impenetrable Liverpool rearguard and part of a team that swept all aside and dominated competitions for fun. Obviously, we bested them in 1987 and more famously in 1989, but his mastery of the defensive arts deserves to be highlighted. Honourable Mentions – Steve Nicol, Steve Bruce, Carles Puyol. Simply for THAT goal. Despite Utd grabbing the treble that season, Arsenal and Utd were pretty evenly matched that year. 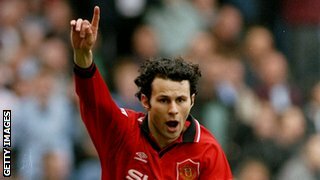 Giggs earned Utd a Cup Final slot at our expense with his slaloming run and finish, leading our seasoned defenders on a merry dance. I still haven’t watched the goal in full since it was scored. The pain is too deep. 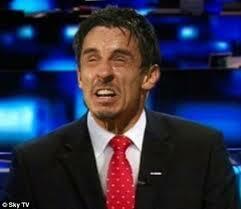 His link with Gary Neville was almost telepathic. His crossing ability is much-heralded, but he rarely had a poor game. Part of the squad that duelled so heatedly with us over 7-8 seasons, he often made the difference with a pass to a lurking Cole, Yorke, Sheringham or Van Nistelrooy. I realise that the spud-faced assassin is not quite a central midfielder, but it would be remiss of me not to include the balding striker. His record against us is quite staggering and it is almost guaranteed that when he lines up against us, he will find a way to score. Opened his Premier League account with Everton in spectacular fashion against us, which was a signal for what was to come. He will never be forgiven for his dive though. Some will see the exclusion of Roy Keane as an error, but Fat Frank scored against us and also was part of a team which we failed to beat with hopeless regularity. Roy Keane, despite going toe-to-toe with our talisman Vieira, was beatable and we showed this. 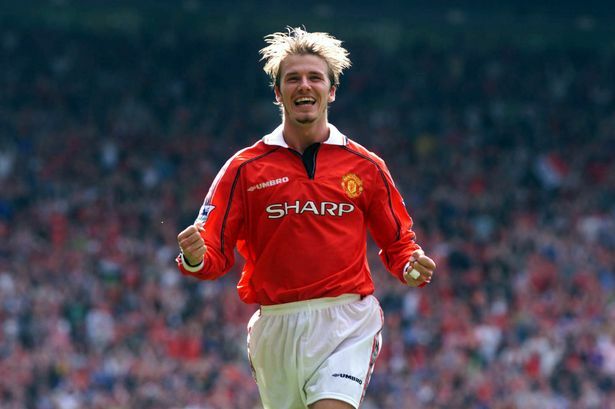 Honourable Mentions – Roy Keane, Graeme Souness, Xavi, Billy Bremner. For his goals in the 2001 F.A Cup Final alone, Owen is included. After dominating the final for 80minutes, we were undone by an unhindered injury-free Owen, who showed his predatory instincts and raw pace in the goals which snatched the trophy out of our grasp. His BT Sports commentating effort has turned the nods of respect to pure hatred however, as his biased leanings, tired cliches and click-baiting opinions have left fans in a haze of anger. This was a duel between Drogba and Fowler. Seeing as Drogba netted an astonishing 15 goals in 15 matches, compared to Fowler netting 10, Didier gets the starting slot. Drogba bullied our naive defenders, famously ruining Senderos’s fledgling career. His mere name on the teamsheet must have had an effect at the peak of his powers. A pure machine. Some may baulk at the red-nosed Scot being chosen ahead of Jose Mourinho. There is but one simple reason for this. Jose Mourinho may boast an unbeaten record Vs Wenger, but this is mostly down to the fact he has faced watered down versions of past Arsenal teams. 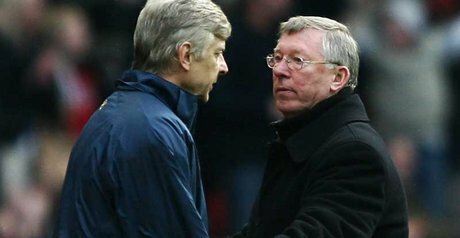 Fergie danced in the pale moonlight with the best Wenger teams and often came up trumps. For that, he is included. I do hope you have enjoyed this trivial look at the men who have blighted Arsenal’s fortunes on the pitch. I expect most will disagree, if so then the comment box awaits. I look forward to our impending debates. Thanks go to @garythegooner56 and @RoyalArsenalMRA for allowing me to pick their brains.